Dr. David Luchins, national vice president of the Orthodox Union, will receive the prestigious Albert D. Chernin Award from The Jewish Council for Public Affairs (JCPA) at its annual meeting, The 2015 Jewish Community Town Hall, Oct. 10-13 in Washington. For Dr. David Luchins, the Torah’s commitment to making the world a better place is clear. 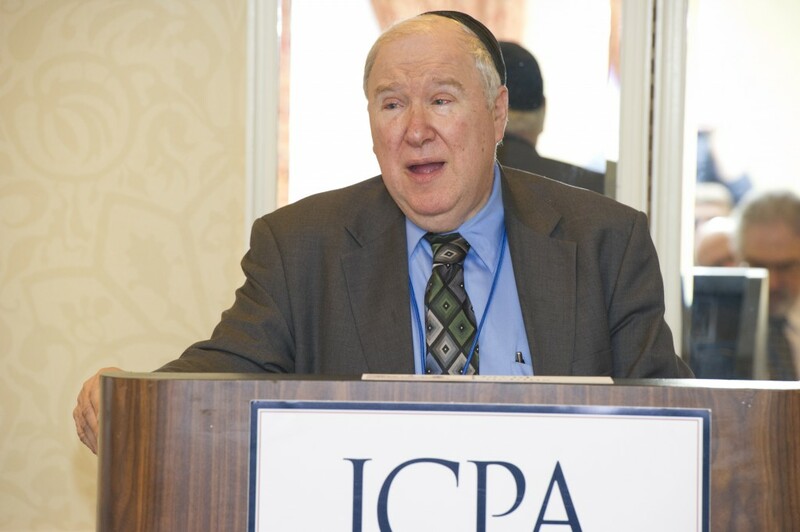 In light of his commitment to social justice, Dr. David Luchins, national vice president of the Orthodox Union, will receive the coveted Albert D. Chernin Award from the Jewish Council for Public Affairs (JCPA) at its annual meeting, the 2015 Jewish Community Town Hall in Washington, D.C. on October 11, 2015. The Chernin Award is given to Jewish leaders whose lifework best exemplifies the social justice imperatives of Judaism, Jewish history and the protection of The Bill of Rights. With the acceptance of the award, Dr. Luchins joins a select and prestigious group of Jewish leaders that include Supreme Court Justice Ruth Bader Ginsburg, Senators Ron Wyden, Carl Levin and Frank Lautenberg, as well as Abe Foxman, Rabbi David Saperstein and Professors Alan Dershowitz and Laurence Tribe. It is quite an honor for the modest, soft-spoken, New York-born Luchins whose mother, Dr. Edith Hirsch Luchins, was one of the first women to serve on the national board of the Orthodox Union. When asked about the relationship between social justice and Torah-true Judaism, Dr. Luchins explained that the two go naturally hand-in-hand. Dr. Luchins attended Yeshiva University and studied under both Rabbi Aharon Soloveichik and his brother Rabbi Joseph B. Soloveitchik. His commitment to social activism was cemented in NCSY, the Orthodox Union’s international teen movement. He married Vivian Osdoby in 1969, whom he met while both were teenagers in NCSY. After earning his Ph.D. at the City University of New York, Luchins became chairman of the political science department at Touro College in 1978, where he still teaches courses in American politics and international relations. He is also the Founding Dean of Touro’s Lander College for Women. “Dr. Luchins is a professor who teaches by example. He has had a transformational impact on generations of our students at the Lander College for Women,” noted Dean Marian Stoltz-Loike of the Lander College for Women/The Anna Ruth and Mark Hasten School. Dr. Stoltz-Loike is also a national vice president of the Orthodox Union. Dr. David Luchins also served for 20 years as a staff member to United States Senator Daniel Patrick Moynihan, ultimately serving as his Senior Advisor. Dr. Luchin’s life has been one long quest to better the world, a quest he shared with his colleagues and students and those he mentored inside Touro and throughout the myriad of Orthodox Union programming in which he is involved. He is a frequent speaker at OU synagogues and accompanies his wife, Vivian, the lay Chair of NCSY Summer Programs, to NCSY programs throughout North America and Israel. The two are also co-chairs of NCSY’s Ben Zakkai dinner, hosted by NCSY’s prestigious honor society. In 2011 NCSY honored Vivian and David for their 50 years of service to the organization. Rabbi Greenland added that most of the social action missions that NCSY chapters across the world undertake are motivated by Dr. Luchins’ work and example—from rebuilding storm-torn areas of New Orleans, to attending AIPAC summits, to handing out sandwiches to the homeless in Los Angeles. His work has also inspired the next generation of political activists inside the Orthodox Union.